America's Health Rankings recently released sobering statistics on rising infant and maternal death rates, and state officials are taking note. Since 2016,181.1 per 10,000 delivery hospitalizations in 2014, compared to a U.S. rate of 171.7 per 10,000 delivery hospitalizations. The national infant mortality rate (deaths under one year of age) was 5.9 in 2016, while Tennessee's rate was 7.4 - an increase from 6.8 in 2013. 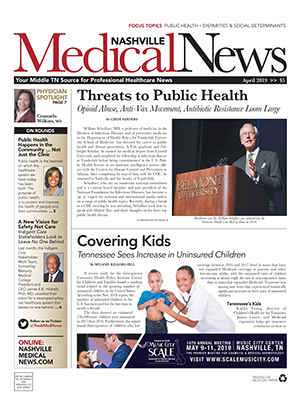 "From the public health perspective, we're looking at what we can do to address the top causes of both issues," said Tennessee Department of Health Assistant Commissioner Morgan McDonald, MD, who serves as the agency's director of Family Health and Wellness. "The health of a woman before pregnancy is key to health during pregnancy, and we're trying to optimize the time before, during and after that period for both mother and baby." 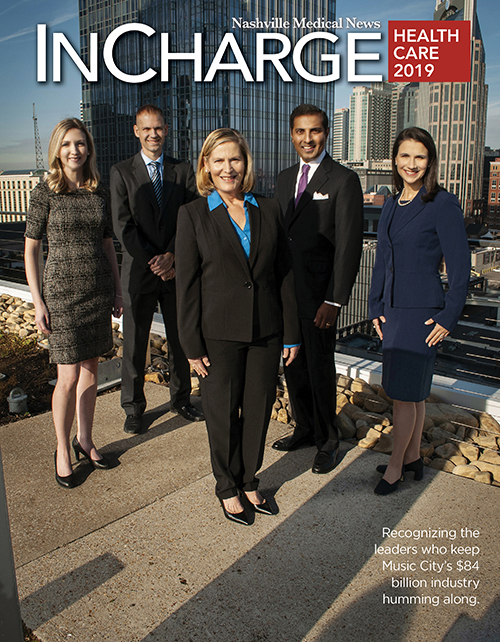 Recent findings also prompted investigation by the Tennessee Justice Center (TJC), a Nashville-based non-profit advocating for the healthcare of Tennesseans though policy and social changes. The agency released their Infant and Maternal Mortality Policy Brief in late September, addressing key areas of concern and suggestions for change. "We wanted to learn about underlying causes and see if we could bring issues to people's attention," said TJC Director of Children's Health Kinika Young. "This information is alarming, and most people don't realize rates are so high compared to other similarly developed countries. The U.S. just isn't faring well." According to the brief, a pregnant woman in the U.S. is three times as likely to die in the maternal period as a pregnant woman in Canada, while most European countries average maternal morbidity rates of six or less. "We're well off in the U.S. when it comes to resources, but our priorities just aren't there," Young said. "We're not supporting public health issues among the most vulnerable parts of our society." According to the brief, the heightened rates of mothers who smoke, have poor health and struggle with substance abuse help explain the high rates of premature and low birth weight babies statewide. "While the national average percentage of women who smoke while pregnant is approximately 8 percent, Tennessee's average was a hefty 12.9 percent in 2016, with several counties' rates reaching higher than 27.1 percent. This is a huge issue, as approximately 32 percent of Tennessee infant deaths in 2016 were linked to mothers who smoked while pregnant," the TJC brief outlined. Tennessee's opioid crisis - especially problematic in East Tennessee - is another driver of the state's higher-than-average neonatal abstinence syndrome rates. In fact, some counties report stats eight times higher than the national average. According to the brief, a mother who suddenly quits taking opioids places her baby at a high risk of severe consequences that include death. That's why Young is passionate about educating providers about addiction recovery and birth control options for high-risk patients. "If a doctor sees a woman of child-bearing age who might be struggling with opioid abuse, they can provide information about safe ways to recover from addiction," Young said. "Doctors can make sure they're not going it alone and that they're not afraid to have that open conversation about what's going on." In 2018, Gov. Bill Haslam unveiled the TN Together plan, which includes various modes of support for opioid abusers, including prevention education. The plan also aims to improve and expand drug treatment services and has tightened the reins on prescription drug monitoring. "We're very focused on supporting mothers and families affected by the opioid crisis, as we recognize that prevention has to focus even more upstream," McDonald said. "Once someone's been identified as being affected by substance abuse, we need to get them into treatment quickly." The state also is partnering with agencies to reduce and mitigate adverse childhood experiences, especially since early experiences carry a lasting impact on health behaviors and health outcomes. The TJC brief also cites obesity and weight-related health problems as a cause for premature births and maternal death rates, noting Tennessee's high rate of women struggling with blood pressure and diabetes - both associated with premature birth and low birth weight. Women who struggle with obesity prior to pregnancy also have poorer health outcomes. "If doctors asks the question, 'Do you plan on becoming pregnant in the next year?' 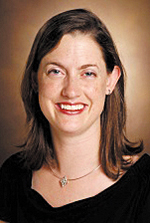 they can help steer patients toward smoking cessation classes, weight loss programs or birth control options," Young said, "It doesn't take long to ask that question, but we've got to reorient providers to their role in this and how it can improve outcomes." Addressing Tennessee's premature births, McDonald said leaders also are working on partnership building with rural hospitals and regional centers to ensure infants are born at facilities equipped for high-risk births. Meanwhile, the TJC is working to help drive down rates of uncompensated care at community hospitals and to make more prenatal and preventative services available to more patients. Additional public health efforts outlined in the brief include Tennessee's Fetal and Infant Mortality Review, and local health departments have been staffed with Certified Application Counselors to provide education and resources to pregnant women. Other efforts include the Tennessee Tobacco QuitLine, the Department of Health's "ABCs of Safe Sleep" campaign, nutrition support from WIC, family support during and after pregnancy via home visiting services and expanded access to care. "We recognize the importance of both clinical and non-clinical interventions to improve the health of mothers and children," McDonald said. "We must think about all policies that impact health across the life course, from neighborhoods to schools to places of employment to where we receive healthcare."